It is our pleasure to have for our First Friday musical guests a Mennonite A Cappella group who has returned from a South Africa tour. They are connected with the folks who do The Walk Cafe on Maysville Pike. I was quite impressed with their harmonies and wonderful voice(s). I was also impressed with their open and gracious demeanors and spirits. Come and enjoy their performance and get to meet some “kids” from a little different perspective on life. THE PRINTING PRESS HAD ARRIVED!!! 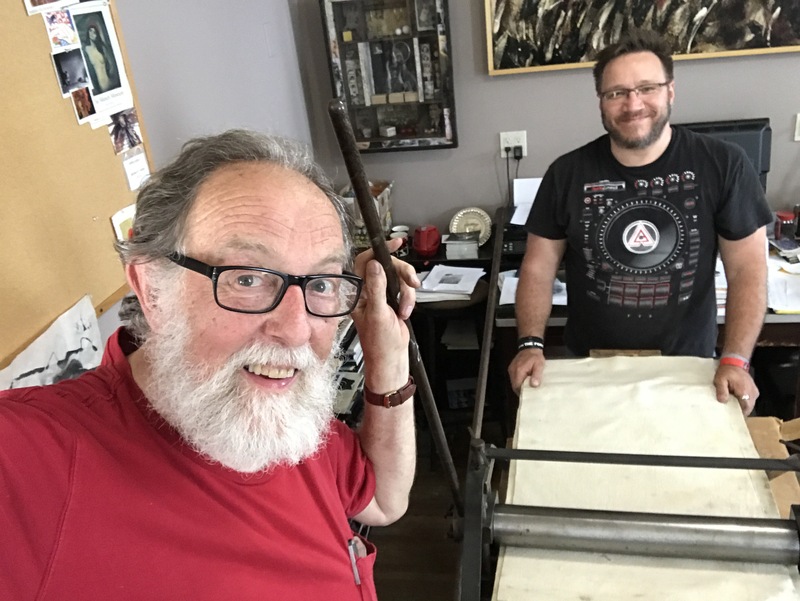 A couple of weeks ago Lee Casey, who can dead lift 400#s, (which is considerably useful considering the press weighs about 350#s) helped me pick up and deliver my first etching press. Come see it on First Friday, July 7th.